The Year Wraps With 2017-18 Annual Cotton Success Meeting - Cotton Holdings Inc.
Every year as Cotton prepares for Christmas, we also celebrate “Success”. Each December, Cotton Holdings invites full time employees from all divisional lines to a two-day event at our corporate headquarters. The event allows us to review and celebrate the “success” of the past year, and to define our “success” in coming years as we set future goals. The event culminates in our Cotton Christmas Party. This year the Cotton Team was treated to a “Cotton Harvey” video, reflecting the hard work, dedication and self-sacrifice of our team members following this epic storm. The Cotton Team also celebrated Martha Colvin and Mirna Garcia for their continued dedication of 20 years at Cotton. 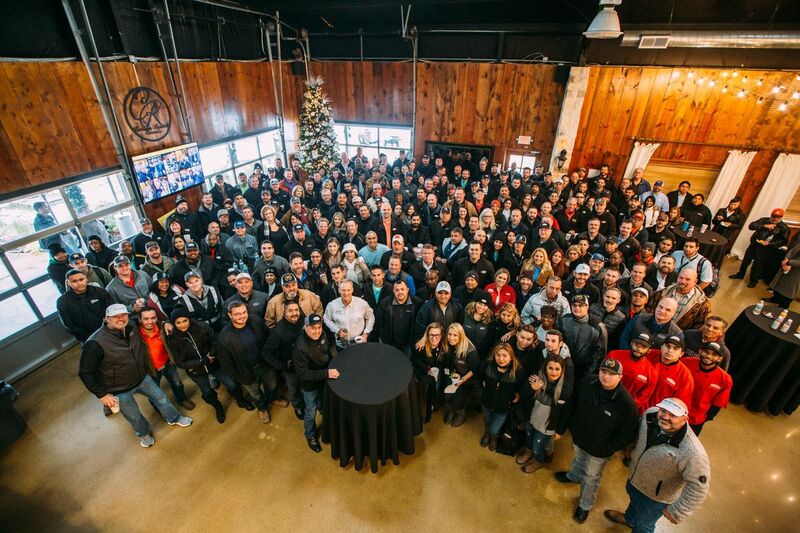 Most important to Cotton, our annual “Success” meeting allows our team members of all levels and locations, to focus together on what truly makes us successful – our culture! The Cotton Team spends an enormous amount of time working in various locations around the world focused on our clients’ needs. Coming together each year as we do, the Cotton Team gets to individually and collectively reflect on our past goals, envision the future of this organization, and define the milestones and goals necessary to get there. Having the whole organization present really allows every voice and perspective to be heard, and as a way for the Cotton Team to come together and do what we do best – be a team!